Justin Gimelstob is an analyst for Tennis Channel and a well-known, influential member of the men’s ATP Tour. Last month, he was arrested in regards to an October 31 incident where as dressed in costume as a pilot from the movie Top Gun, he allegedly attacked venture capitalist Randall Kaplan in front of his wife and two year old daughter. Kaplan filed for a temporary restraining order against Gimelstob, and a court date has been set for December 12. The temporary restraining order alleges that Gimelstob knocked Kaplan to the ground, hit him 50 times, and threatened to kill him. This also isn’t the first incident that accuses Gimelstob. 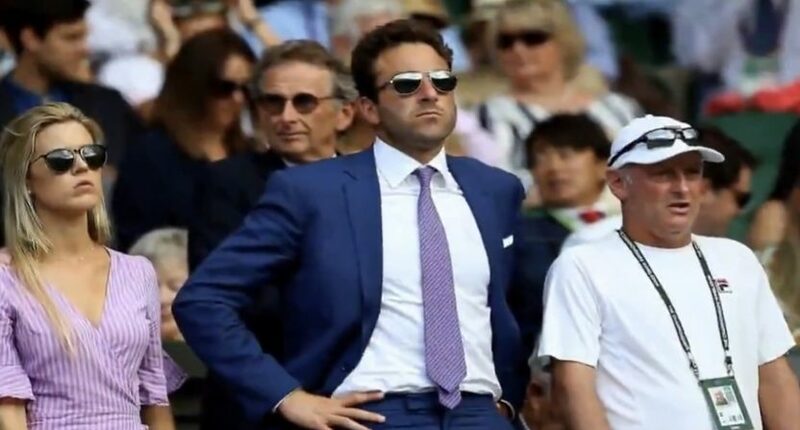 The Telegraph of London is reporting that Gimelstob has had a pattern of violence, not only against close acquaintances (his estranged wife and a friend), but also on the tennis court. Both his estranged wife Cary and friend, Kris Thabit, filed for temporary restraining orders in 2016, but in return, Gimelstob filed for TROs of his own against them. In addition, the Telegraph is reporting that Gimelstob apparently put his hands on those taking part in a paddle tennis event last year and needed to be restrained. Justin asked Tennis Channel for a leave of absence while he works through this issue. As he is a longtime, valued member of our network family, we of course granted it to him. We believe that in today’s climate, perhaps more than ever, it’s important to recognize due process and the fact that there are multiple sides to every story. We don’t want to rush to immediate judgment, and will follow this closely as more detail comes to light. His estranged wife also alleged incidents of domestic violence dating back to 2015, including Gimelstob assaulting her twice in front of their son. For his part, Gimelstob said he had lived in fear of his wife and denied ever striking her. For now, Gimelstob remains free on $50,000 bail and still sits on the ATP board. But he’s facing pressure from players who want the Tour to act, and the public sentiment about him is also growing as these stories about his past surface. Gimelstob denies the charges, but there’s no denying that as the storm clouds surround him, it will be difficult for the ATP Tour and Tennis Channel to keep him around – especially if more people come forward to corroborate the earlier incidents.